I am trying to update the cycles but the downloading process is very slow - actually it stops at 12% and not moving forward. I know i can update the cycle manually but still would like to resolve this issue. I started the manager as admin, using windows 10pro 64-bit . FSX. 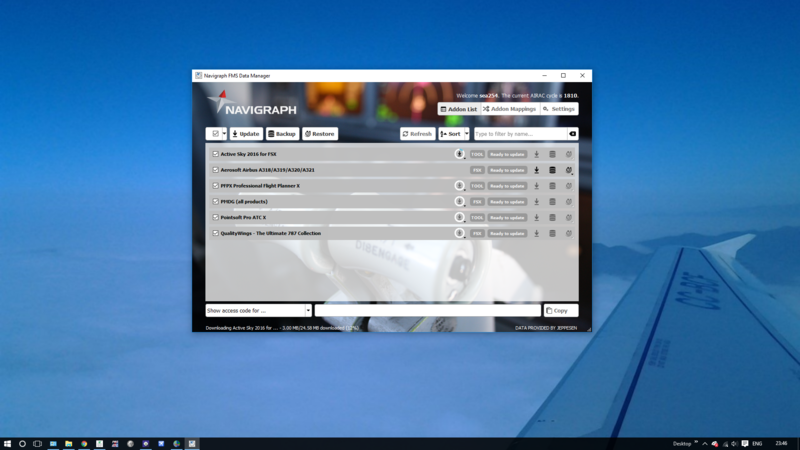 Did you purchase your Navigraph subscription through Aerosoft? It would be very strange if you did, as we don't sell it.